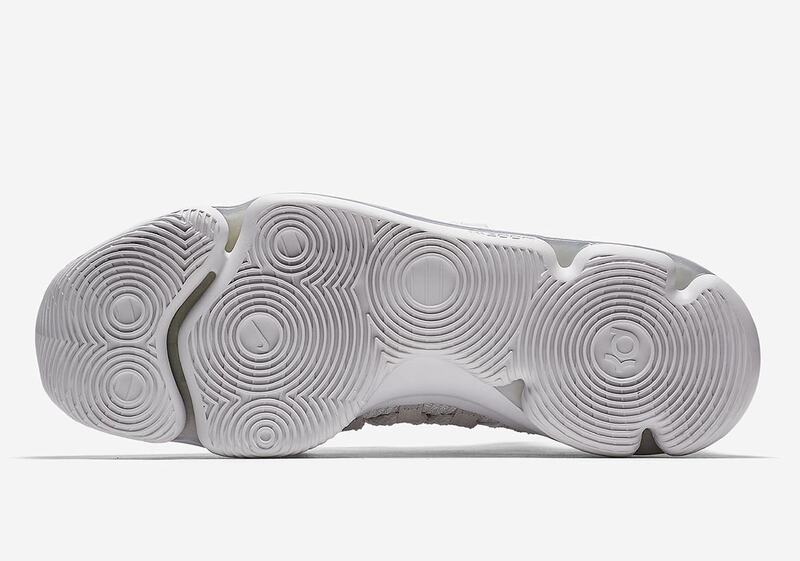 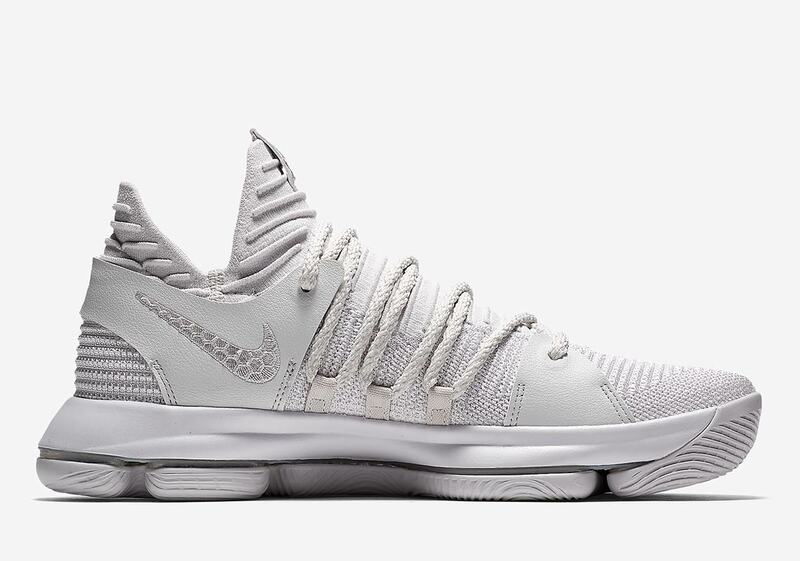 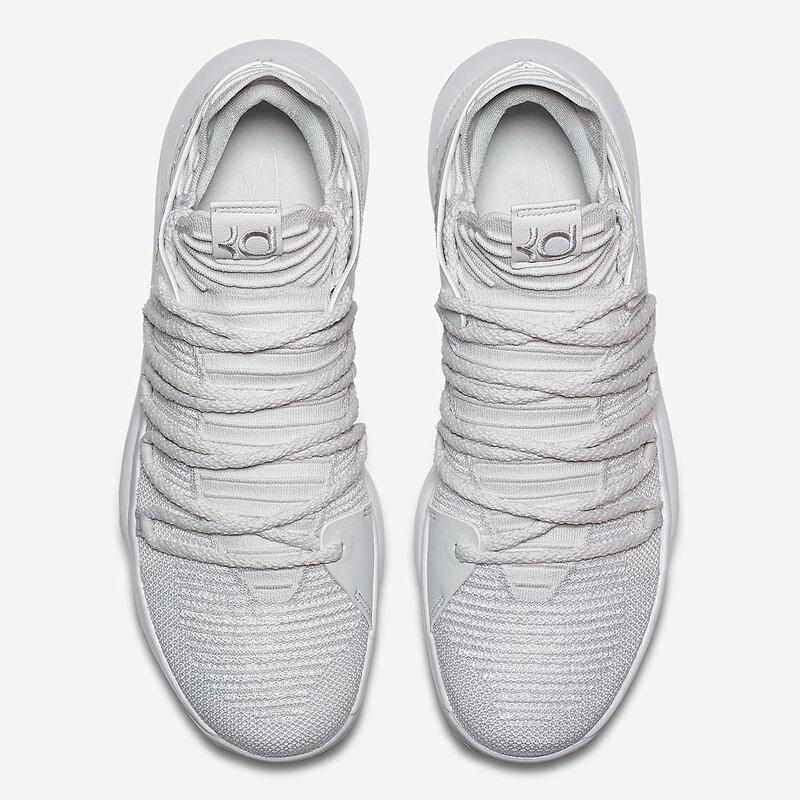 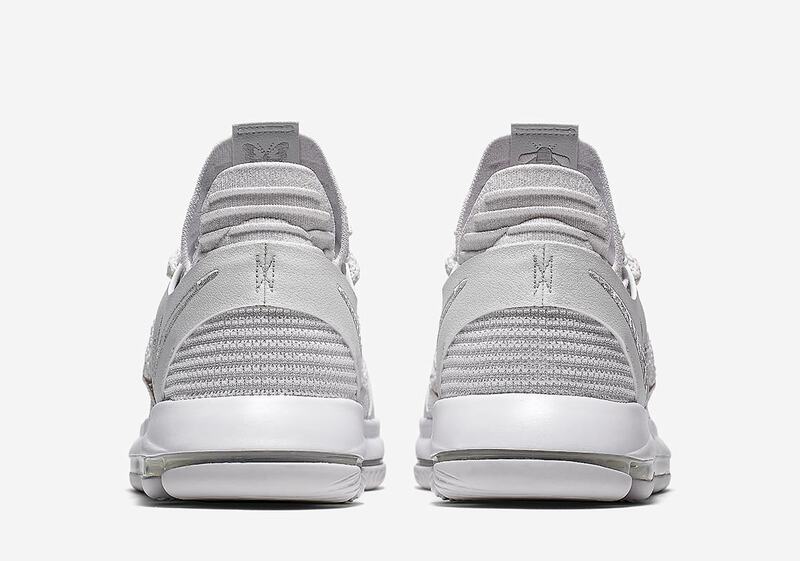 Kevin Durant’s KD 10 silhouette has been adorned with many loud and crazy colorways, from the “What The” to the “City Edition,” but now the low-top basketball shoe is set to arrive in a clean, monochromatic white titled “Platinum” that’s perfect for the upcoming spring and summer weather. 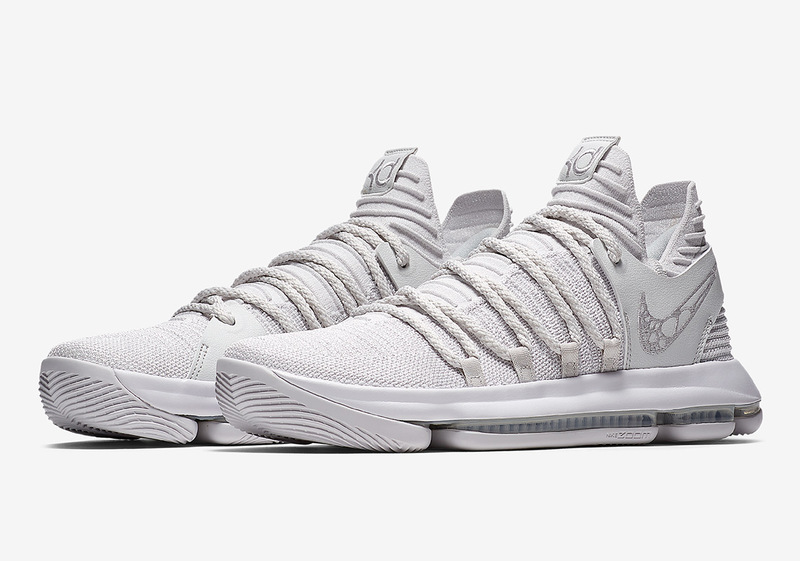 This iteration of the KD 10 features an all-white upper, midsole, and outsole, with cobblestone-like detaing on the lateral swoosh and an embroidered butterfly and bee on the inside of the tongue in homage to Muhammed Ali, one of the Durantula’s favorite athletes who’s signature “float like a butterfly, sting like a bee” catchphrase is known the world over. 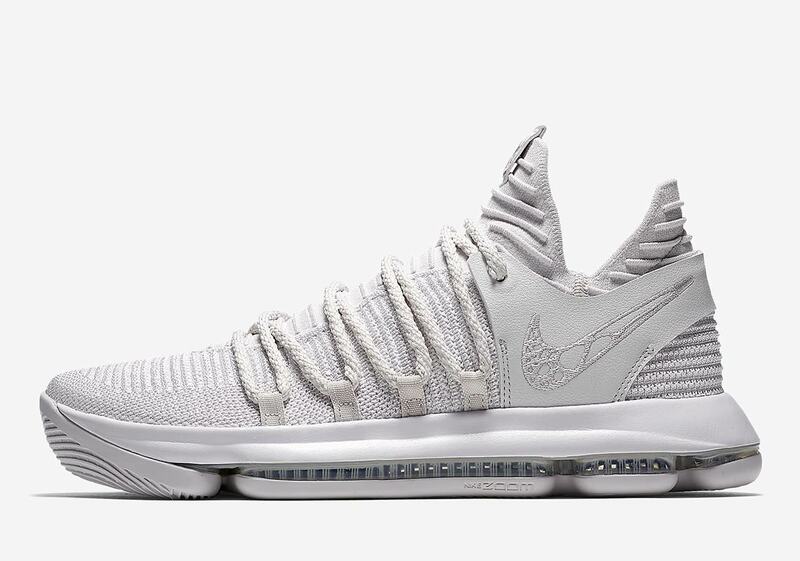 There’s no official release date for the “Platinum” KD 10 yet, but you can expect them to drop this month on Nike.com for $150 USD.